Earn from your music by broadcasting it in more than 20 countries worldwide. Did you know you can earn royalties by broadcasting your music in the In-store Radio Network, with more than 250 million listeners every month, in more than 20 countries around the world?This is possible, thanks to Soundreef In-store. Our fair and transparent system shows you exactly when your music has been played and how much you’ve earned. 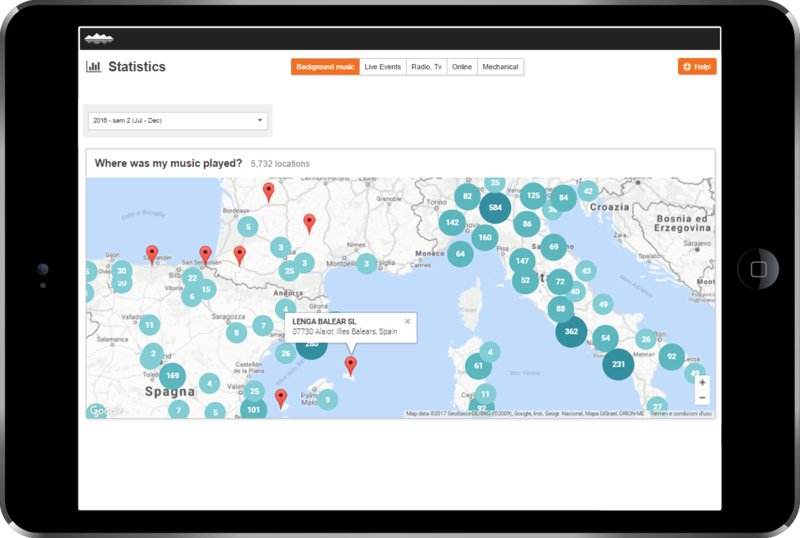 The Statistics section of your account allows you to see where your music was used on a map with all the details of the each and every location. 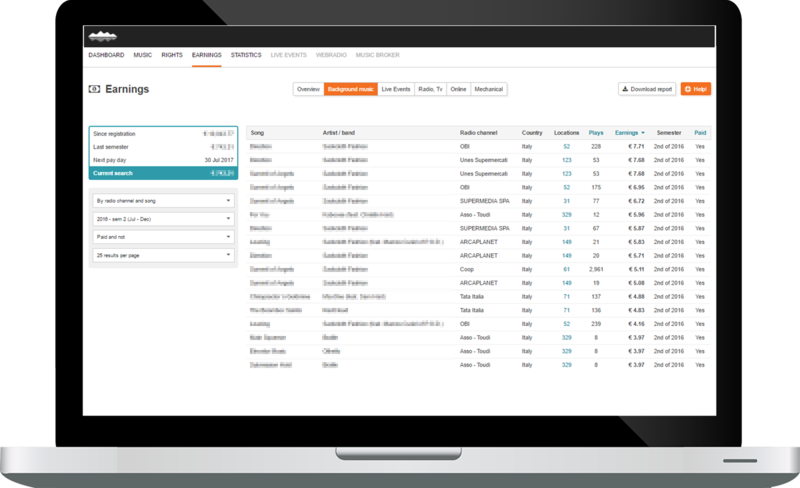 From the Royalty section of the user account you can see all your earnings with the exact details of the usage of your music, download the report and filter by artist, song or radio channel to further elaborated the data. Do you want to start using Soundreef In-store? Sign in and start uploading your music. What is Soundreef and what do you do? © 2018 Soundreef - All rights reserved.